Think You Have A Foolproof Way to Beat a Sobriety or Breath Test? Think Again. Many people suspected of a DUI think that simple things like chewing on a mint can help defeat a breath test. People also think they know more about impaired driving than they really do. 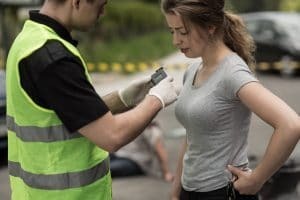 If you are convicted of a DUI, you could be sentenced to jail, lose your license, be ordered to pay substantial fines, and suffer other severe consequences. The best strategy for winning a DUI case is not to drink and drive in the first place. The second-best strategy is to hire an experienced DUI defense lawyer who will assert all possible defenses on your behalf. A major myth is that by refusing to take a breath test, you can’t be convicted. This isn’t correct. The prosecution can use your refusal to take the breath test in court. The advantage is they won’t have direct evidence of your blood alcohol limit. A judge or jury could still, however, conclude that the refusal combined with the police officer’s testimony is enough to convict you. Additionally, drivers in Tennessee give their implied consent to breath tests. If you refuse to take the test, the state will seek to suspend your license. Eating food like onions does not reduce the amount of alcohol in your blood, and it won’t lower your BAC breath test, either. Mints are good for reducing any odors but not the alcohol level. Using a mouthwash could actually increase your blood alcohol level. Sucking on a penny won’t work. It’s a myth that the copper in the penny will reduce your BAC level – and copper is no longer used to make pennies. Coffee doesn’t help you get sober and doesn’t affect the breathalyzer test results. Vomiting doesn’t sober you up. The truth is, the only thing that will reduce your alcohol concentration is time. It needs time to leave your body, just like any other intoxicant does. MYTH: Beer has less alcohol than hard liquor. One 12-ounce beer has the same amount of alcohol as an ounce and a quarter of 80-proof liquor or four ounces of wine. MYTH: You should let a friend “sleep it off” if the friend passed out from drinking. This is bad advice. It takes about the same amount of alcohol to kill someone as it does for them to pass out. If the friend passes out, get immediate medical help and make sure they’re breathing with a normal heart rate. Don’t let them fall asleep – they may never wake up. MYTH: Alcohol is a stimulant. That’s incorrect. Alcohol is a depressant that sedates the central nervous system. 60 to 70% of drivers arrested for DUI are under the influence of drugs. Drugs can’t be detected with a breath test. They can be detected with a blood test. At Delius & McKenzie, PLLC, we pursue DUI defenses that can work depending on your case. The police may not have had grounds to stop you. The breath tests and blood tests may not have been administered properly. The chain of custody of the evidence may be defective. If you’ve been charged with a DUI, call our experienced lawyers at (865) 428-8780 or use our contact form to discuss your criminal charges. We represent DUI defendants in Sevierville, Seymour, Gatlinburg, Pigeon Forge, and throughout Tennessee.